Lemonade is my favorite summertime drink. I am actually pretty particular with my lemonade, probably because I was so spoiled growing up. 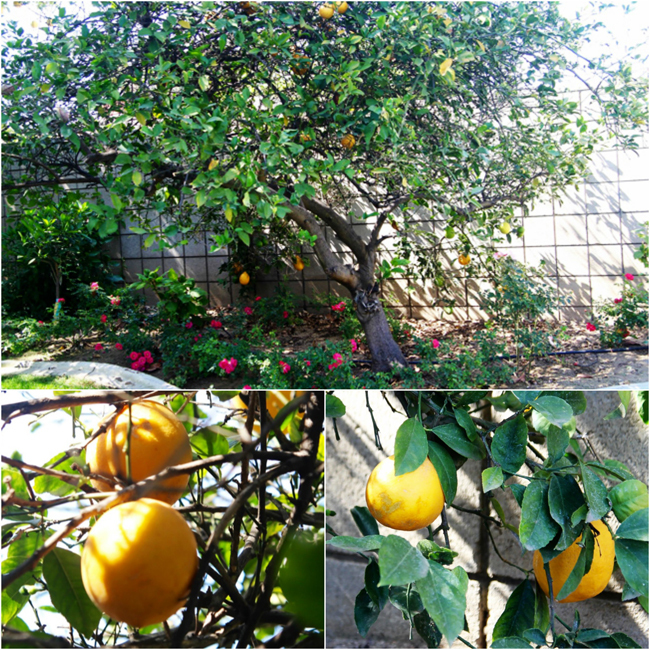 My grandparents have a lemon tree in their backyard. Some of my favorite summertime memories begin and end with that Lemon tree. Growing up, my sister and I used to pick the lemons with my grandma, help my grandma squeeze and squish the lemons to get every ounce of juice they had to offer out of them and help her make a fresh batch of lemonade. 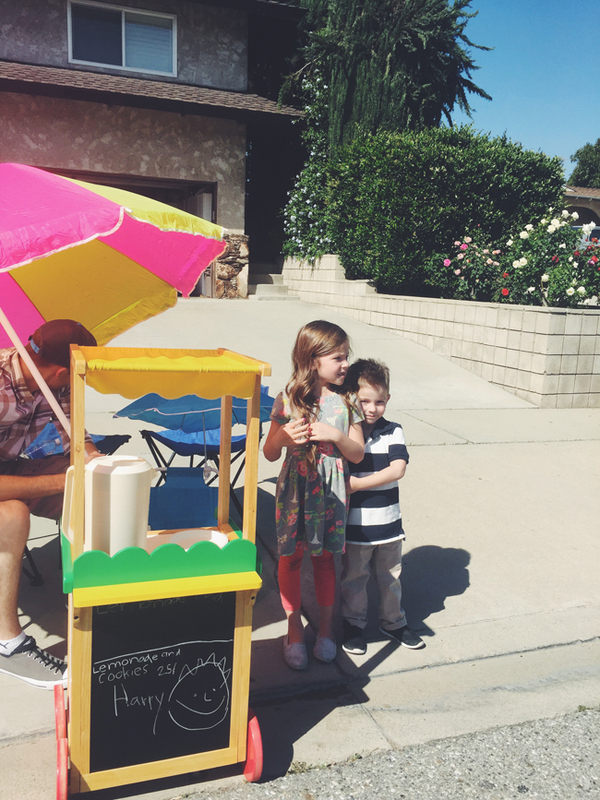 My grandma made the cutest lemonade stand and my younger sister and I used to spend a good portion of our summer days selling that lemonade, and drinking it too ;) People would sometimes even come back for thirds- it is THAT good! A couple of weeks ago, my family went and visited my grandparents. 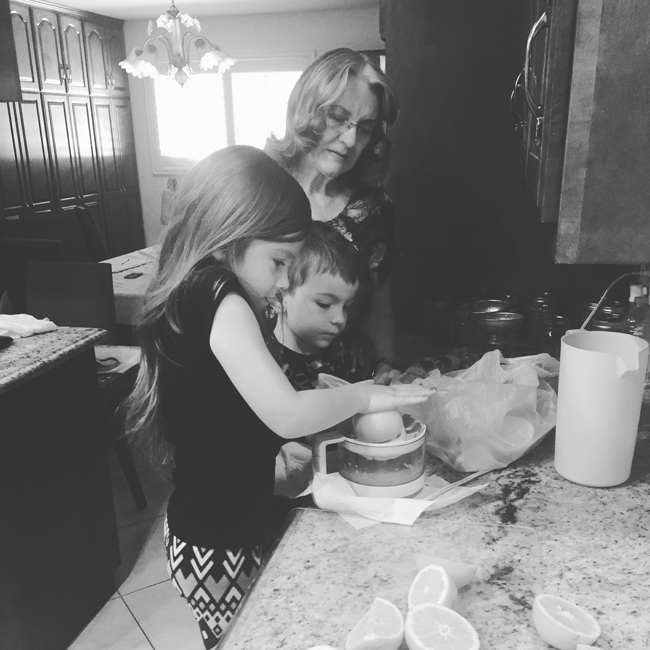 My grandma could hardly wait to get in the kitchen to make fresh lemonade with my kiddos. Watching them work hand in hand with my grandma literally brought tears to my eyes. I am so grateful and elated that they get to make some wonderful memories, just as I had, with my beautiful and amazing grandma. Of course she got out the lemonade stand for my kids :) They are still talking about their fun times picking and squeezing the lemons. Trust me, once you try this fresh and delicious batch of homemade lemonade, you won’t want to have it any other way! It is the perfect way to quench your thirst. 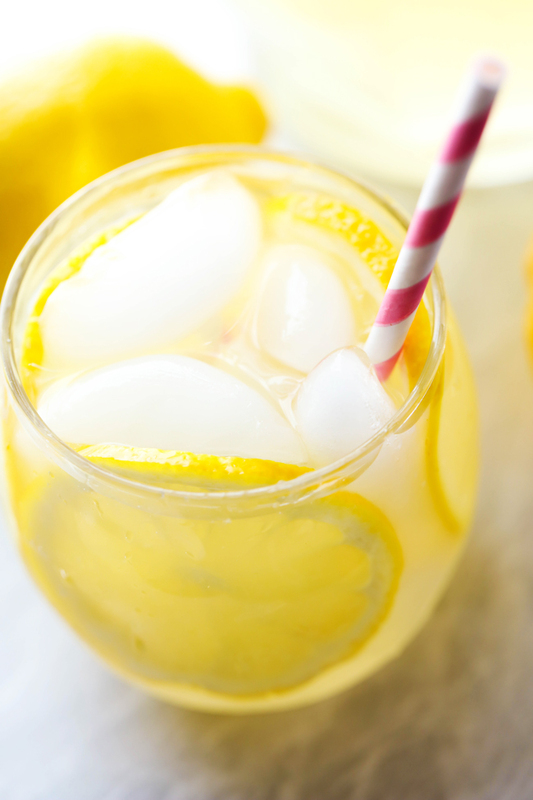 My mouth is watering just thinking about drinking a delicious cold glass of this fresh lemonade! 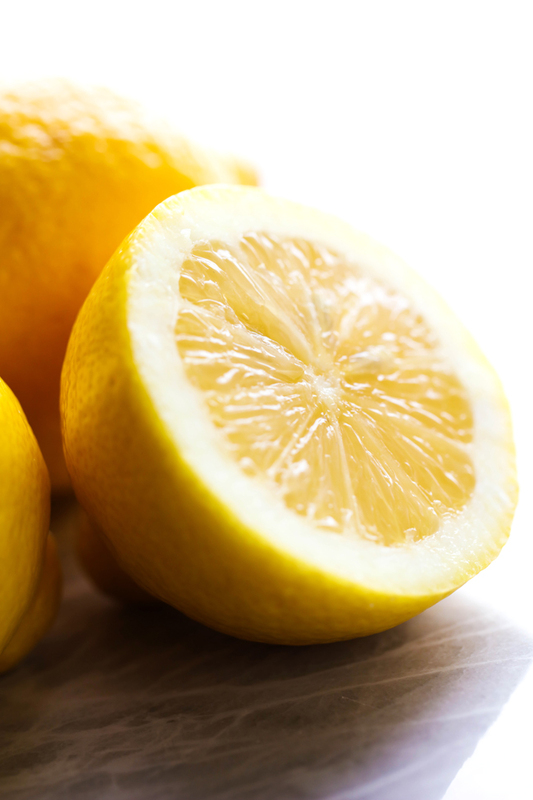 Combine lemon juice, water and sugar into a large pitcher and stir until sugar is completely dissolved. 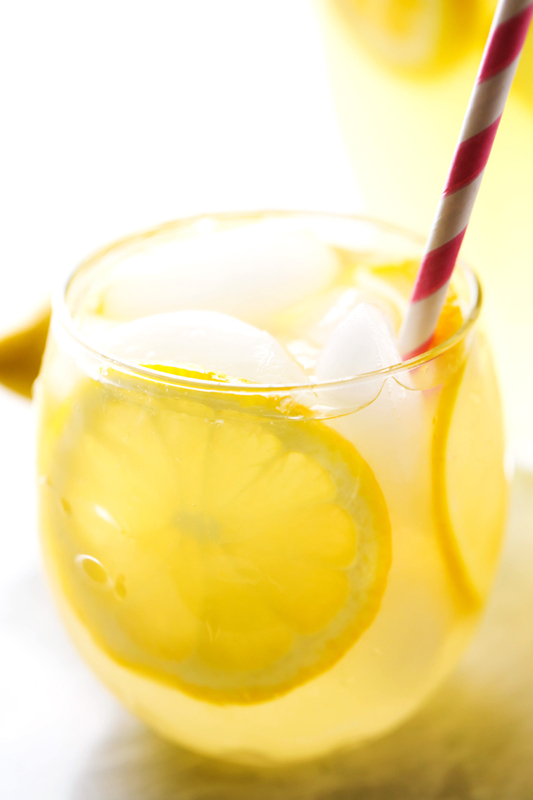 Dump lemon slices onto the top of lemonade. Top with ice to keep it nice and cold. I love homemade lemonade. So much better than the boxed stuff! Homemade lemonade is one of the best things on the planet, especially on a hot day. My mouth is watering at this recipe and I can smell the lemons from here! Cannot wait to make some of this!! I'm going to use my Meyer lemons... can't wait to try it!! On average, how many lemons do you need, total? Just wanted to Thank you for this delicious recipe. I made this at a Jewelry Paty that I was hosting in my home, and it got rave revues. I shared your recipe with my family and it has become a staple in their homes.. I've made this twice now. So delicious. So easy. I added a smashed strawberry to one glass, loved it. ? I have to say, I was skeptical making this. I've personally never made my own lemonade, but of the batches I have tried, they have always been bitter to me. However, this is AWESOME. It's pretty much heaven. My family and I thank you for sharing your grandmother's recipe!! Best homemade lemonade I have ever had. I used about ten lemons. I’ve made this numerous times now and it never fails. I’ll reduce the sugar if the lemons I use are sweeter. I’ve also made lots of versions of this with varying fruits... blackberries, strawberries and even grapefruit (grapefruit was the most popular). If I use a sweet berry I’ll for sure reduce the sugar but regardless this recipe has always turned out wonderfully and we make lemonade ALL THE TIME now. I would recommend adding a cup and a half of sugar, I personally thought the lemon juice balanced out the sugar giving it more of a bitter taste.